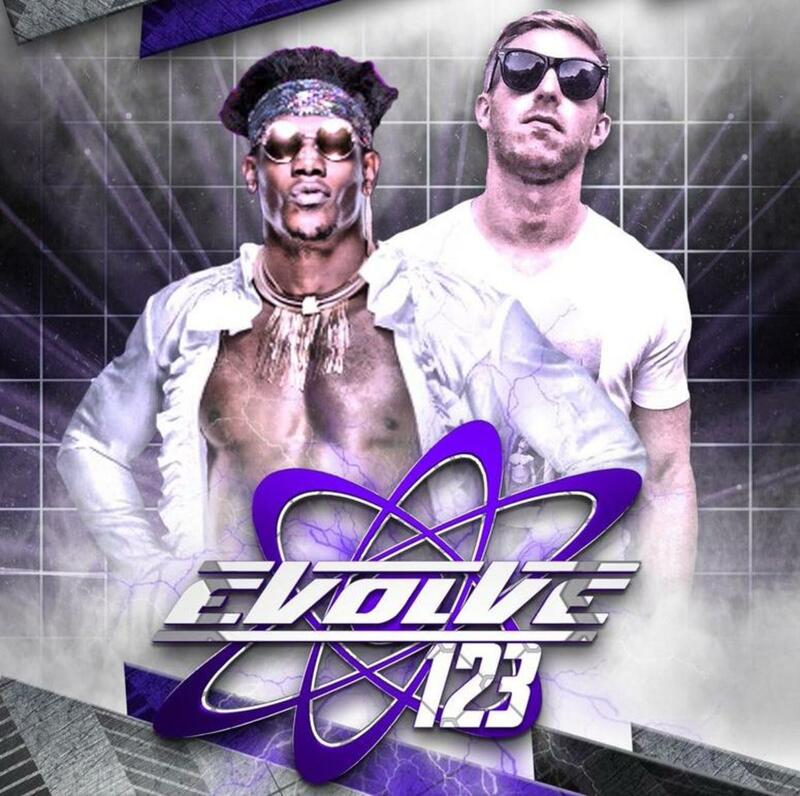 Friday night's show in Melrose, Massachusetts drew a bigger crowd than the last time EVOLVE was in the same building. I'd say it was at about 90 percent capacity. The show was fast-paced and easy to watch, but it lacked anything truly outstanding. The crowd was pretty hot and lively for most of the matches, and reacted to certain guys as if they were big stars. The big attraction was Velveteen Dream, who wrestled Orange Cassidy in the main event. Ricochet was originally announced for the show, but it was changed once Ricochet debuted on the main roster. Dream replaced him in the main event, but Ricochet was still there and available for meet and greets. Basic, quick match. They did some mat wrestling early before exchanging strikes. Stallion is super pale, so the welts he gets show up really well. Stallion won with a back senton in kind of an awkward finish. Corino's group, The Unwanted (led by Eddie Kingston), beat down Stallion after the match and then called out The Street Profits. Montez Ford and Angelo Dawkins came out and cut a good promo on the group and agreed to put the EVOLVE Tag Team titles on the line later in the show against Kingston & Joe Gacy. The Street Profits were really over. Good match, but they didn't go long. Allin was pretty popular and worked well as the smaller babyface taking on the big heel. Briggs beat him down until Allin made a comeback. Briggs cut him off and hit the M5 (chokeslam into a backbreaker) for the pinfall. This was basically a squash match for Jaoude, who is an NXT wrestler. They are pushing him as a big-time guy who uses his BJJ to win matches. He beat Gulak in under five minutes with a leg lock. They had the best match of the night and probably went the longest as well. The heels beat on Ruff forever and it really worked -- because the crowd went crazy when Fox got the hot tag. There were a lot of dives and big moves when Fox got in and things broke down. Drake went for a moonsault and missed, which got over huge. Fox eventually won with a 450. They didn't have a ton of time considering this was for the EVOLVE Championship. Theory is really good and has improved a lot since he was last in Melrose working against Matt Riddle last summer. Theory beat Silver in about 10 minutes with Ataxia, which is his pumpslam into a flatliner finisher. This was weird. Strickland is part of The Unwanted, who were the biggest heels on the show, but he worked this match as the babyface and Bravado was the heel. The match was sloppy at the start but got a little better. Strickland won with an armbar. Kingston & Gacy won the titles after Strickland interfered. The match was mostly them beating on Ford until he made the hot tag to Dawkins. Ford hit a tope con hilo over the post onto everybody. Strickland interfered and Ford chased him out of the ringside area and outside the building. In the ring, Kingston hit a spinning backfist and pinned Dawkins to win the titles. It was funny because it was pouring rain outside and when Ford came back to ringside right as Dawkins was being pinned, he was completely soaked. The Street Profits were really over and felt like big stars. This was a bizarre main event. The match was nothing special, but it was entertaining in its own way. Dream was really over with the crowd, but Cassidy was legitimately just as popular working his lazy, carefree gimmick. There was a lot of stalling and posing before the match started, with Dream doing his histrionics and Cassidy no selling them and working his gimmick against Dream. The match was mostly Dream working over Cassidy and Cassidy selling. Dream won with the Purple Rainmaker after about 8-10 minutes, but the crowd really enjoyed it.